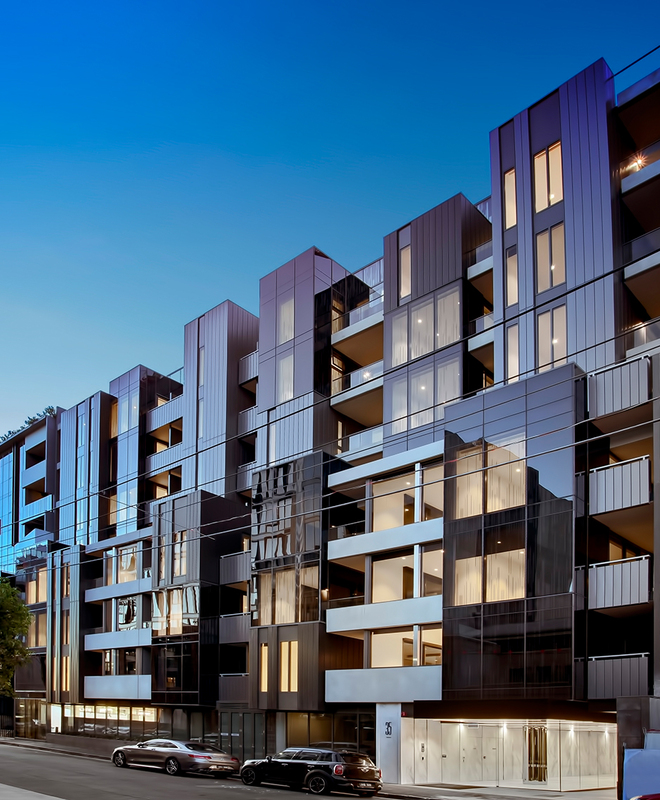 In the 21st century, South Yarra cements its place as one of Melbourne’s most desirable suburbs. Its architectural tapestry includes a diverse mix of buildings, each with their own personality and mode of expression. Drawing from the narrow context, Rothelowman has split Essence into a series of vertical elements, vertical planes, and building blocks. This reduces the building’s scale into smaller pieces, which are easier to digest into the streetscape. Taking cues from South Yarra’s rich retail culture, the interiors are underpinned by themes of fashion. A glamorous lobby bedecked in marble references the idea of a catwalk, while the mailroom is set up like a luxury boudoir. Echoing its external façade, Essence’s interiors are sinuous and delicate. 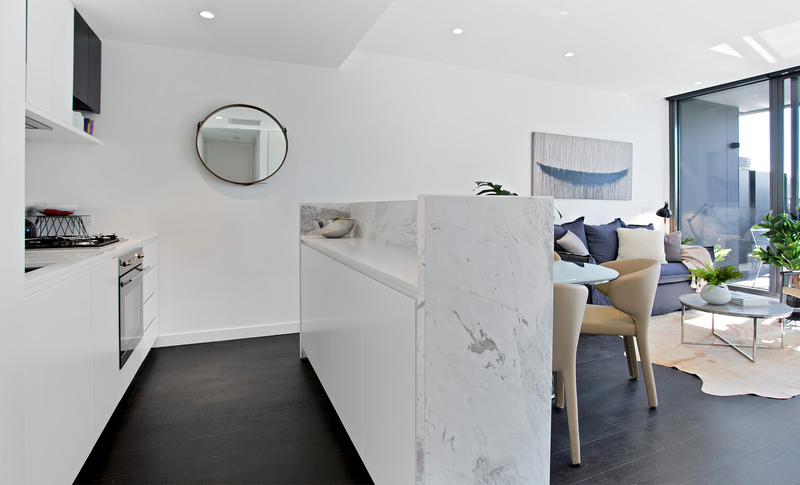 Each space is pared back with a colour palette of grey, black and every permutation of white. The restrained composition forms a resolved canvas upon which the visual complexity of the material palette is able to shine. Combining natural finishes like wood, glass, ceramic and wool enhances the interior and satisfies the senses. Textured stones, woolly carpets, and timber floors excite your fingertips and toes at every turn. 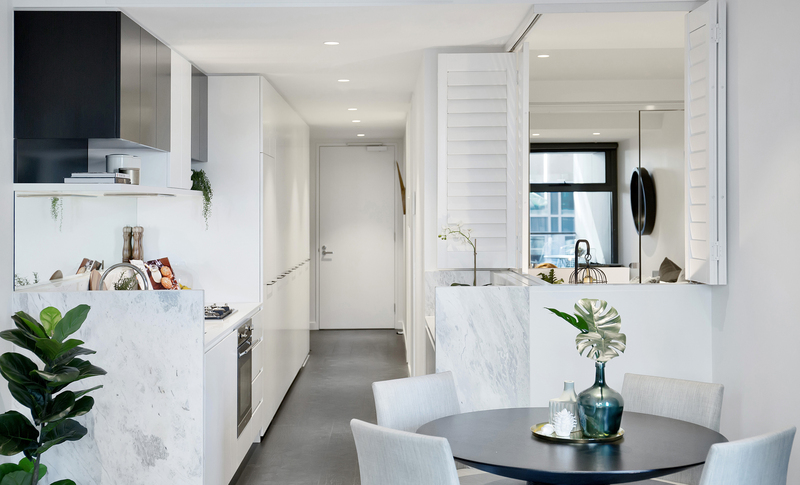 Acknowledging South Yarra’s undisputed title as the fashion epicenter of Melbourne, Rothelowman has drawn inspiration from classic French designers, to create living environments with a sense of refined sophistication. 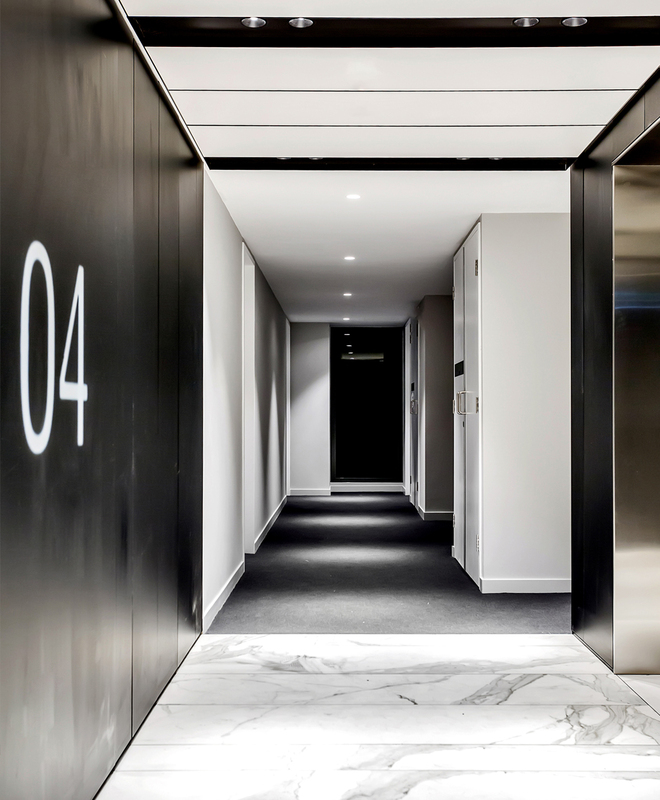 Through innovative design, Rothelowman has created an apartment building that pushes boundaries in form and function. Championing sustainability and quality, Essence is a building that will stand the test of time.